The WWE Women's Evolution began three years ago today. 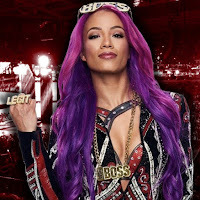 Vic Joseph look at the 5 winningest Superstars of the Women's Evolution in this new episode of WWE's "List This!" series. The 5 winningest Superstars are Nia Jax with 41 TV wins, Bayley with 42 TV wins, Becky Lynch with 45 TV wins, Charlotte Flair with 56 TV wins and Sasha Banks with 58 TV wins.